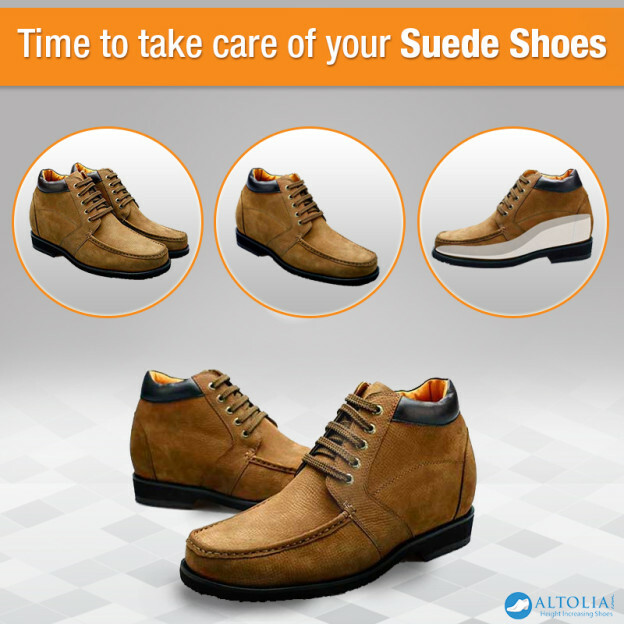 Time to take care of your Suede Shoes! Shoe Care Tip 1: It's not necessary that your suede shoes will be protected from every element or weather, so make sure you have some remedy to this. Presently if you see there are many waterproofing products available which create a protective barrier on your shoe thus keeping the fabric healthy and no fading of color. Thus, this spray is inexpensive and an easy option. Shoe Care Tip 2: You don't need to freak out if your shoes get wet with water. It's okay they can be treated. To avoid this you can take a soft damped cloth and a soft brush, rub on the surface of your shoe gently and leave it for some time. Shoe Care Tip 3: Apart from water, the struggle begins when you see grease or other stains on your suede shoes. All you need to follow the procedure correctly – firstly brush the stain off and then apply suede eraser. If this doesn't work, do the hand washing and leave it for some time. You can take the help of the cobbler if required. Shoe Care Tip 4: The basic and important tip is avoid wearing suede shoes on a daily basis, give a little break so that they don't get emerged and you need to take care of the soles too. Prefer using shoehorn most of the time. Shoe Care Tip 5: If you are thinking to be a companion with your shoes for a long time; hold them in a pot of boiling water and let the steam goes in them – even they like steam. Later on, brush them gently with a suede brush just to restore its luster and texture. So, all you suede lovers don't abandon your shoe and start taking good care of them.